‘Train up a child in the way he should go; and when he is old, he will not depart from it’. In 1843 Patrick then applied to the National Society for a further grant to enable the school to open on weekdays and employ a qualified master – an application that was approved and saw £50 granted towards the salary of a master and £10 for furniture. It was in 1844 that the new day school was opened with Ebenezer Rand the first master. The pupils at the day school paid 2d a week and were provided with slates and pencils. That the school was a success there is no doubt, with 160 pupils per week registered on its books. When Ebenezer Rand married, his wife took charge of the female pupils and classes were also made available in the evenings so that children working in the factories could attend. It is known that Charlotte, Emily, Anne and Branwell all taught at the school. When Arthur Bell Nicholls became Patrick Brontë’s curate in 1845 he took over responsibility for the school, a role he undertook with great vigour until 1853. During this time funds were raised for the first of two gabled extensions at the westerly end of the building, completed in 1851. In 1853 the building hosted Nicholl’s presentation and later following his marriage to Charlotte Brontë, a celebratory afternoon tea for 500 local guests. The school continued to be very popular, and following another fundraising campaign by the Reverend Wade, successor to Patrick Brontë, the second and final gabled extension to the building was completed in 1871. The Old School Room was replaced as a school in 1903, but retained its focus as a community building, being used for a variety of activities, including a gymnasium, a library, an army billet during the Second World War, and as a Youth Hostel. 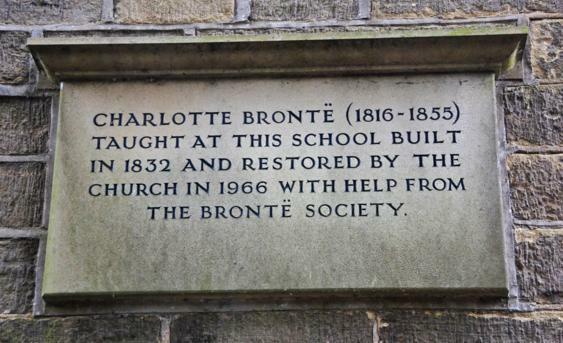 In 1966 the Church, with support from the Brontë Society, undertook some restoration work in order to maintain the building in the short term. Since then it has remained in the ownership of the Church of England, (Bradford Diocesan Board of Finance), and continues to be a valuable community resource, hosting: craft fairs, meetings, events, lectures, dances, dinners and exhibitions. 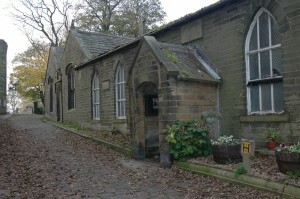 The Old School Room is currently managed by a charity, Bronte Spirit, who are striving to raise funds to conserve the old building so that it may continue to serve the community for which it was built. In 2016 the roofs of the two extensions to the original building were repaired thanks funds raised from grant aid by WREN, Pilgrim Trust and the Garfield Weston Foundation as well as a major fund-raising campaign by the charity’s Trustees.